Buffalo chicken recipes always seem to be a hit. These bite sized treats are perfect for appetizers at parties or as dinner sides. Adults and kids are going to fall in love with these non-dessert cupcakes! 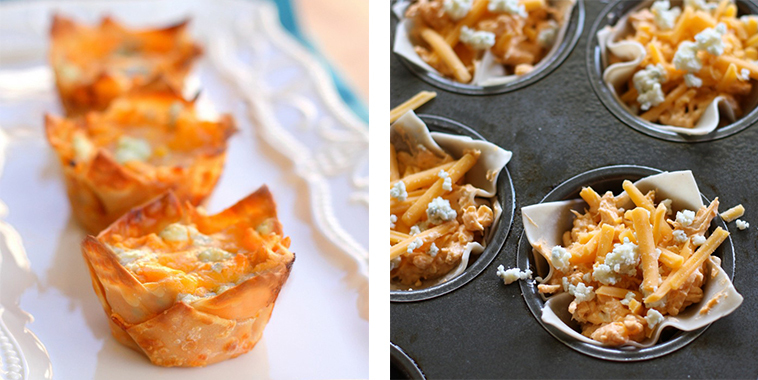 This recipe for Buffalo Chicken Cupcakes is also very easy. Wonton wrappers are so simple to work with and add a great crunchy taste! Inside the Wonton you will add the buffalo chicken mixture. Try out this brilliant recipe tonight!